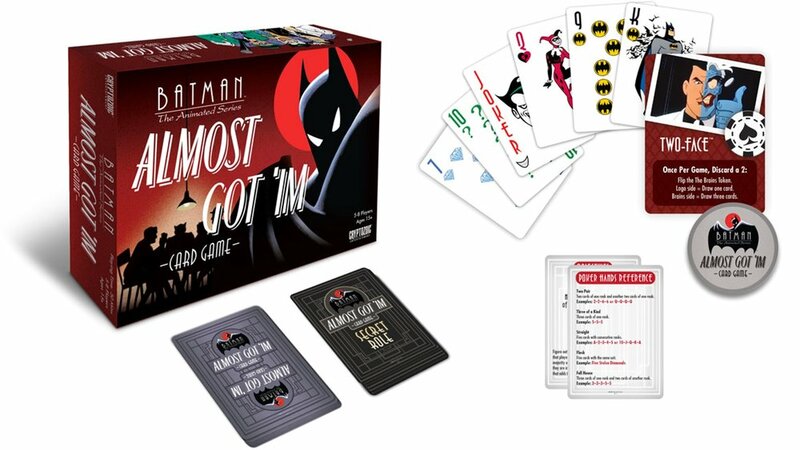 Batman: The Animated Series is getting its own card game based on the classic episode “Almost Got ‘Im.” This episode is considered one of the best episodes in the series it revolves around Gotham’s villains playing a game of poker and sharing their stories about how they almost defeated Batman. This cool game is created by Cryptozoic Entertainment, and it can be played by 5 to 8 players. Every player takes on the role of one of the villains — Joker, Penguin, Riddler, Two-Face, Poison Ivy, and Killer Croc. If you’ve seen the episode, you know that one of them is a secret Batman. Depending on each person’s role, the players either attempt to reveal Batman or covertly take out the rogue’s gallery of villains.